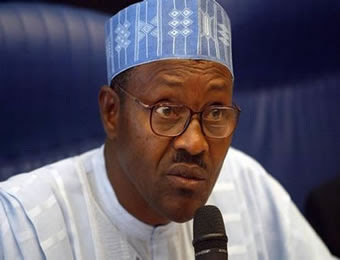 INDICATIONS emerged at the weekend that the failure of President Muhammadu Buhari to announce ministers after nearly two months of assuming office is not unconnected with the alleged malfeasance, fraud and misappropriation of funds traced to most of the ministerial nominees. The revelations by investigation teams reportedly revealed shocking security reports on the alleged fraud and misappropriation of funds by 33 nominees short-listed by President Muhammadu Buhari, with only three said to have passed the corruption test. Informed sources told Sunday Tribune that out of the 36 ministerial nominees penciled in and those submitted by the All Progressives Congress (APC) hierarchy and sent to the DSS, EFCC, ICPC, CBN, the Force Criminal Investigations Department (FCID), and the Defence Intelligence Agency (DIA) for forensic screening, only three nominees came out unscathed. President Buhari had insisted that he wanted to appoint people without corruption baggage that could taint administration and inhibit his anti-corruption drive. Sunday Tribune gathered that the president was dumbfounded as to the mind-boggling amount of money quantified in several transactions cutting across several sectors of the economy, including oil and gas, finance, power, governance and infrastructural commitments, where the persons involved failed the nation, thus contributing to its current decadence. Consequently, President Buhari is said to have rescheduled the new date for the submission of his list of ministerial nominees to the Senate for approval to September, during which it is hoped that he would have prepared a new list that will be screened and those that scaled the integrity huddle, presented for confirmation. A source said: “Buhari has said anybody with skeleton in the closet will not work with him irrespective of the role he or she played. If such persons are around him, it means he may be pressured to compromise his principled stance”. “So they are trying to push him to a corner, because the truth is that they cannot seem to read or understand his body language. They have now seen that Buhari is ready to sacrifice anybody for Nigeria to move forward”, the source stated.